I finally feel brave enough to discuss my pregnancy now we are over half way and had our 20-week scan 💙! I feel I have been in hiding with it for the past few months, but this time round I have been so sick. Morning sickness wasn’t just in the morning and through the months of November and December was relentless and 24/7 of feeling sick and actually being sick to the point I was prescribed anti sickness tablets to get me through my worst days. But that’s all in the past now and am feeling great in the second trimester thankfully! When I was diagnosed with Stargardts in 2017, my hopes of having a sibling for Harvey were completely crushed. I had to wait several months to determine whether I had the dominant gene that would be passed to Harvey or any other children we may have, or the recessive gene that would stop at me. Thankfully I have the recessive gene, so Harvey and any other children we would have, stood a less than a 1% chance of having Stargardts too. Then there was the fact that with subsequent pregnancies, my vision may deteriorate, so this was something I had to really consider. 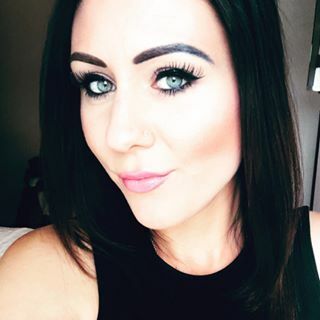 Although the specialists at Moorfields reassured me that pregnancy shouldn’t have any affect on my Stargardts, I am aware that this hasn’t ever really been properly studied and talking to other people from the support groups made me realise that actually, pregnancy can possibly progress the vision loss. Some peoples will go back to normal after the birth as it is hormone related and some peoples won’t, so it was a big decision to make. Looking at my life and what Stargardts has taught me, is to live for the now and don’t think too far ahead. There is no point in being scared of my vision progressing quicker now, as it may have anyway. The fact is, my vision isn’t too bad right now and I would have a lot to give another child and for me, I didn’t want Harvey to have all the worry of me and my eyesight by himself when he is older, that is something I seriously had to consider and think into the future about. He already worries if I lose my driving licence and he never passes his driving test so he can take me places and it breaks my heart that his head is full of things like that at such a young age. I’m hoping his new little sibling will be a welcome distraction from the sadness that we had before. I have my check up at Moorfields in April, so I will know where my vision stands then and whether it is on the progression, but until then, I have a nursery to plan, little blue clothes to pick out, baby boy names to think of and lots of little boy toys to stock up on. Stargardts will have to take a back seat for now, it won’t be stealing this joy from me 😊💙. Amen, Katie. Let nothing steal the joy of your family. Love and be loved. Congratulations, my friend!